Otherwise it was right-wing militias that killed Brits they considered responsible for excessive violence. One October evening in 1946, British police officer William Henry Bruce sat in a café on Jerusalem’s Ben Yehuda Street. Near 11 P.M., when the 34-year-old finished chatting with his colleagues, he rose and headed back for the police station. A band of Jewish young people jumped out from an alley and fired a raft of shots into him. “The wounded officer lay in the street bleeding for some time, because according to an instruction from high up, no Magen David Adom ambulance was dispatched,” the Hebrew newspaper Hamashkif reported. Bruce died near midnight at the Mount Scopus military hospital. “A British inspector was murdered last night on Jaffa Road while walking alone in civilian dress at Zion Square,” Haaretz reported the following day. Why was Bruce murdered and by whom? Initially the media maintained that Bruce wasn’t the target and was shot by mistake. “It appears that the officer William Bruce’s killers did not intend to harm him, but rather an undercover police officer who was with Bruce until a few minutes before his murder,” Haaretz wrote. Still, the initial reports were mistaken, as were the reports that the Etzel and Lehi right-wing undergrounds – the obvious suspects in such incidents – were behind the assassination. Seventy years have gone by, and it turns out that Bruce was indeed the target. Also, in a glaring exception, the killers were from the Palmach, the elite strike force that was formed in 1941 and initially cooperated with the British. The reason for the murder is also known: revenge for Bruce torturing Palmach prisoners in a British jail several months before. The 2010 project Toldot Yisrael (History of Israel), which filmed hundreds of testimonies from the 1948 War of Independence generation, interviewed the commander of the assassination, Aharon Spector. On the 70th anniversary of the event, the people at the project have kindly allowed details of the interview to be published in Haaretz. Spector voiced concerns that “one of Bruce’s relatives could catch me in London,” but he still described the action in detail. The assassination was preceded by a “verdict” of a special Palmach court convened to convict Bruce to death for his responsibility for the torture of Palmach fighters. They had been arrested a few months earlier by the British in Biriya in the north, where illegal arms were also seized. During their interrogation, the Palmach members were told they had to be fingerprinted, and when they refused, the British broke their fingers. A few months later, the time for revenge against Bruce, the officer responsible for this violence, had come. The original plan was to assassinate Bruce in Safed, where he served. “The plan was simple: I go for a walk in the street with a few friends, take him out and get away,” Spector recounted. But Bruce managed to avoid his assassins and was transferred to Jerusalem. The long arm of the Haganah’s intelligence service found him there, and Spector went after him. “I recruited the Jerusalem squad, six guys. I received weapons from the Jerusalem commander, from a cache that was hidden in the Ticho House,” one of the first homes built outside the Old City in the 1860s. After two or three days of searching, Spector found Bruce. The signal would be that Spector would take off his hat as soon as he was sure about the target. “I recognized him and started to walk behind him. I took off my hat and continued to walk,” he recounted. Spector revealed that the man behind the operation was none other than Yigal Allon, the Palmach commander who later became an Israeli foreign minister and education minister (and a prime minister for 19 days). “It was an instruction from headquarters,” Spector said. “Yigal kept it for me. Yigal had a talent for such things. Levy from the History of Israel documentation crew notes how unusual the case was. “According to Spector’s testimony, the order came from Yigal Allon, the symbol of the handsome sabra and the purity of arms,” Levy said, referring to native Israelis and the Israeli army's ethics code. During that period the struggle between the Jews and the British peaked. A few months earlier, Etzel activists had blown up the King David Hotel in Jerusalem, where the British Mandate’s headquarters was based. Around 90 people were killed, British, Arabs and Jews. In those days, there were several dozen assassination attempts against the British, but only this one by the Palmach. Yisrael Medad from the Menachem Begin Heritage Center in Jerusalem researched the affair for a lecture series he gives on the purity of arms. It was so unusual that Palmach headquarters made sure to clarify that it wasn’t “personal terror,” as such operations were called in those days. He even finds some historical irony in the event. Spector’s brother Zvi was the commander of the 23 Yordei Hasira fighters who left in 1941 on a sabotage mission in Lebanon. They never returned. A British officer joined the mission, testimony to the Palmach’s cooperation with the British during that period. 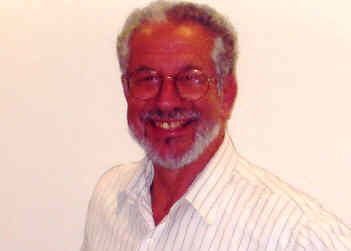 Zvi Spector’s son, the pilot Brig. Gen. Iftach Spector, was a signatory of the 2003 “pilots’ letter” signed by Israeli airmen who refused to take part in military operations at the height of the second intifada. Bruce’s assassination is now a footnote of Israeli history; there isn’t even a picture of him on the internet. The database of fallen British imperial soldiers shows that he’s buried in the Protestant British cemetery in Jerusalem. He was survived by his parents, who lived in London. And don't forget the castration incident.